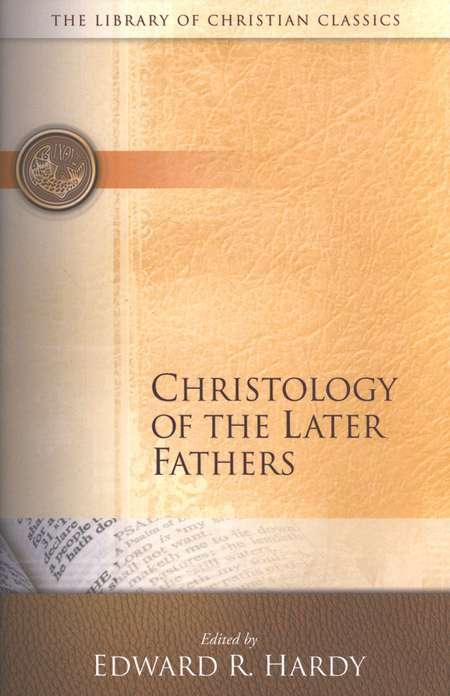 NEW MYRIOBIBLON: 16 - Book Review: "Christology of the Later Fathers"
16 - Book Review: "Christology of the Later Fathers"
The new volume of the Library of Christian Classics will be warmly welcome especially by Seminary teachers. It will be used as a handy source book in the class on the history of Christian doctrine. Most of the documents included in the volume were already available in English translations, but the huge volumes of the renowned collection - recently reprinted - The Nicene and Post-Nicene Fathers - were not easy to be handled by the students. Now, in the volume under review, we have a good selection of the most important texts, to which the editor supplied an admirable and helpful introduction. On the whole, selection of the texts in the present volume is quite reasonable. One may regret, however, that nothing of St. Basil has been included, especially his famous treatise "On the Holy Spirit." Of course, it is available in English, but it should be brought to the notice of every student of the Fathers for one particular reason. Dr. Hardy, in his able introduction, may give an impression to an average reader that the whole theological elaboration of the doctrine depended chiefly upon intellectual considerations. The "creedal" background of theology does not seem to be adequately emphasized. In this respect, St. Basil's treatise is of great value: in it one sees clearly that "theology" is precisely an interpretation of the "living faith," preserved and practiced in the church, as an existential reality, even in the times when theological formulas are not yet fixed. The title of the volume may raise some doubts: Why should the Fathers of the fourth century be designated as "the later Fathers"? were they not precisely "the Fathers," and the fourth century "the age of the Fathers," a "Golden Age"?